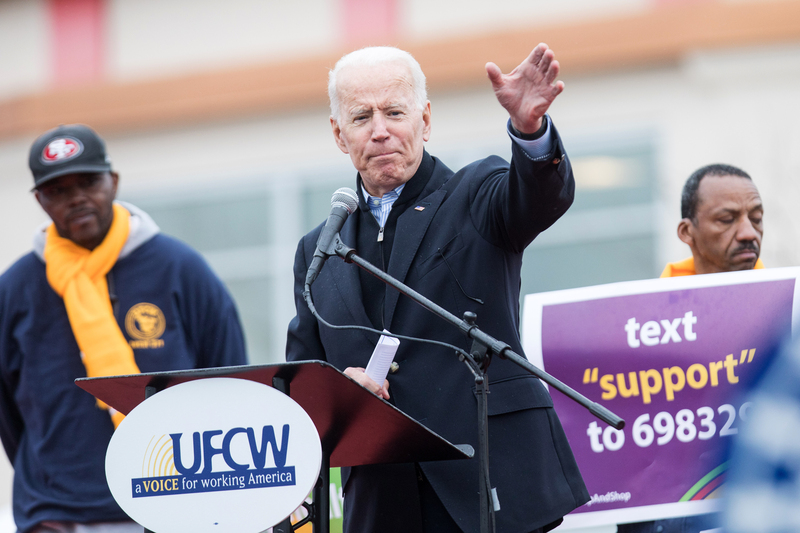 Senate Democrats are living on a prayer that things don’t go wrong for them in New Jersey. Jury selection concluded Wednesday in the corruption trial of Sen. Bob Menendez (D-NJ), only the 12th sitting senator in U.S. history to face indictment. If he’s found guilty and forced to leave office before the end of the year that likely would hand Republicans his Senate seat until the 2018 elections, giving them a crucial extra vote as they try to salvage what they can of their and President Trump’s agenda and possibly resurrect their efforts to repeal Obamacare. While many things need to break against Democrats for this to happen, the September trial has them nervous. Menendez faces federal charges of bribery, conspiracy and making false statements. He’s accused of intervening with senior federal officials to help a major donor and benefactor, Salomon Melgen, in a multimillion dollar Medicare billing dispute, of stepping in to protect Melgen’s half-million-dollar port security contract, and of helping him secure visas for a trio of young girlfriends from other countries in exchange for campaign donations and expensive trips. Melgen, his co-defendant, has already been convicted in a separate case of Medicare fraud, and there’s been rampant speculation that he hasn’t been sentenced yet because federal prosecutors are looking to leverage jail time against him to try to make him flip on his old friend. The nightmare scenario for Democrats is Menendez is found guilty and relinquishes his seat before Gov. Chris Christie (R) completes his term in January, allowing Christie to appoint Menendez’s replacement and handing Republicans a crucial extra vote in the Senate. That appointee could also run for reelection in 2018, giving the GOP an outside chance in Democratic-leaning New Jersey. It’s far too early to predict how long the trial will last, though educated guesses put it at around two months, concluding before Thanksgiving (there’s no sign that Menendez is preparing to take a plea deal). If Menendez were to be convicted before Christie leaves office next January, Democrats will be put in the awkward position of hoping he can hang on to his seat long enough to wait out Christie and have a Democratic governor appoint the replacement. New Jersey state assemblyman John Wisniewski (D) called it “way premature” to speculate what will happen, but admitted it’s not a pretty situation for the state or national party. “There’s no way to sugarcoat it. It’s certainly a very difficult situation,” he said. 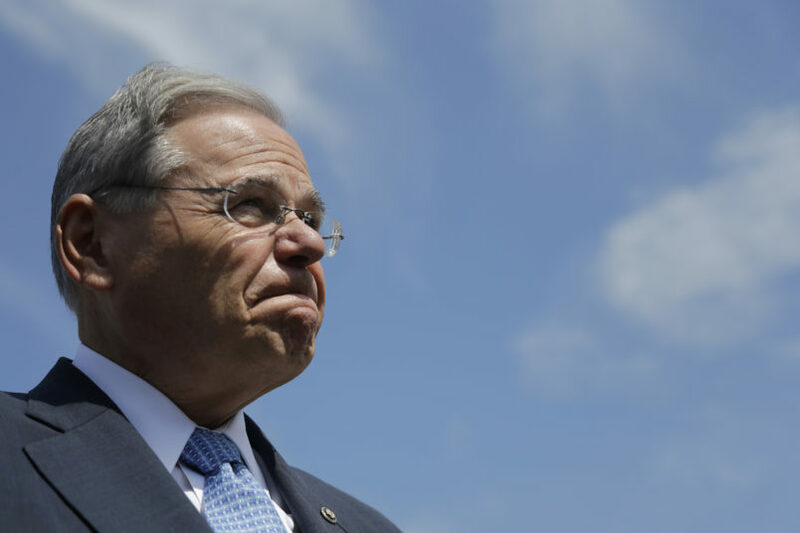 Democrats point out that Menendez can’t be forced to resign his seat, even if he loses at trial, and that the last New Jersey senator to be convicted of a crime, Harrison Williams, stayed in office for months after his conviction in the early 1980s. It would take 67 senators to vote for Menendez’s removal to force him out, a high bar to clear that would allow every one of the 10 Democrats facing reelection in states Trump won next year to vote for removal so long as no more than four other Democrats split with their party and vote to kick their colleague to the curb. If the Democratic candidate for governor, Phil Murphy, wins the November election to replace the deeply unpopular Christie, as is widely expected, Democrats can argue that they’re only protecting the will of the people of New Jersey by dragging their feet on a Senate vote on expulsion until the new governor can name a replacement through 2018. But it’s not an easy political position to be in for Democrats — and that has Republicans salivating. “I don’t think it’d be possible to defend keeping a felon in the Senate if he is convicted. It’s a huge opportunity,” said Scott Sloofman, a New Jersey native who works for the GOP outside group America Rising. Sloofman promised to use Menendez against vulnerable Democrats if he’s found guilty, highlighting that Menendez is a top Democratic fundraiser who has given to a number of colleagues facing tough reelection battles, like Sen. Jon Tester (D-MT). Even if Menendez beats the charges, he may not be completely out of the woods. His lawyers have repeatedly argued that the case doesn’t have merit because of last year’s Supreme Court decision overturning corruption convictions against former Virginia Gov. Bob McDonnell (R), which drastically narrowed the reading of federal bribery laws. That could let him off the hook legally without removing the stench of corruption, and as he’s still planning to run for reelection, that could create an opening for a Republican to challenge him in the Democratic-leaning state. Even then he might be the favorite, but any money wasted in New Jersey is money that can’t be spent defending the 10 vulnerable Democrats up in 2018. Menendez has publicly and vociferously declared his innocence. His office declined to talk about the trial and its political implications, and Senate Democrats aren’t any more eager to talk about what-ifs — “Where we are is believing he’ll be acquitted and reelected next fall,” one national Democrat told TPM. But they privately admit that it’s not a great situation for the party. And while New Jersey Democrats aren’t ready to abandon Menendez, who remains a powerful figure in the state, they’re already privately jostling for his seat in case he’s forced to step aside. One of those who’s been most public about his interest in running if Menendez has to leave is former Sen. Bob Torricelli (D-NJ), who left office under an ethics cloud of his own more than a decade ago.